With a variety of Jailbreak Apps, many non-jailbreakers want some of the jailbreak fun! 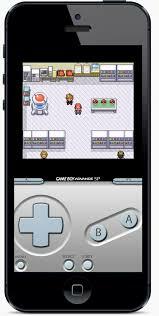 One app, courtesy of Riley Testut, has made its way into the Apple non-Jailbreak world.This is GBA4iOS 2.0! In this version of GBA4iOS, Riley has polished up everything and added many more features! 5. Have fun with all your retro gaming!